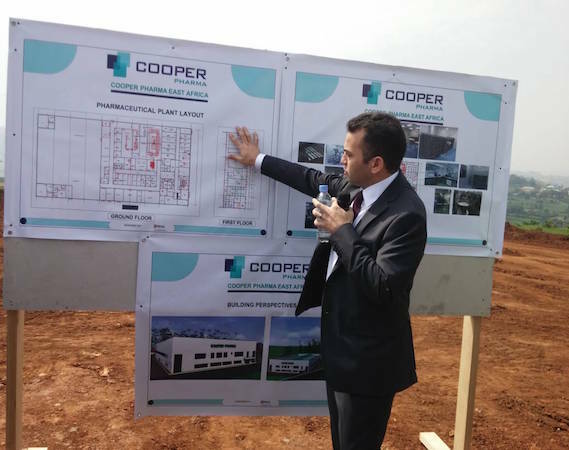 Cooper Pharma, a Moroccan pharmaceutical firm, alongside the Rwanda Development Board, has on Friday morning, laid bricks on the foundation wall of a planned antibiotic manufacturing in Rwanda. The facility will be constructed on a 20,000 square meters plot in the Kigali Special Economic zone, and works have started. The plant is expected to open in 2019 and will help Rwanda deal with lack of the most commonly prescribed drugs such as beta-lactam antibiotics and penicillins among others. The facility, it is believed, will improve the population’s access to drugs at affordable prices. Speaking at the ground breaking ceremony, Clare Akamanzi RDB CEO said that the plant will reduce the cost of drug imports that the country relies on. It will also provide job opportunities to dozens of people starting from the first phase of the project. “This is a very crucial investment for Rwanda because we rely mostly on imports for drugs. In fact, we spend Rwf75 billion in that regard. So, we expect this to be a good substitution and we are happy to have this kind of investment in Rwanda,” Akamanzi said. Ayman Cheikh Lahlou, CEO of Cooper Pharma said that they chose Rwanda as their hub in the East African region because of its good location. He also cited political stability and good governance as one of their incentive. “In East Africa, we found out that the best country, location and governance fits in values between our company, the government and local people. So we are very glad to be in Rwanda as you have a great setup in terms of organisation and there is need for local pharmaceutical manufacturing,” Ayman said. The first phase will take about $7million and gradually inject more depending on the demand. It is expected that the first phase of this project will occupy an area of 8,500 square meters. The plant is expected to create at least 40 jobs. It will start with technologies that manufacture products such as Non PVC Intra Venous Bags, antibiotics, analgesic products as well as oral solid dosages. Meanwhile, the construction of the plant follows an agreement that was signed in 2016 as a result of talks between the government and the high-level visit of a delegation from Morocco led by King Mohamed VI that came in Rwanda on October last year. Ismael Cheikh Lahrou, Project Manager explains the project master plan. 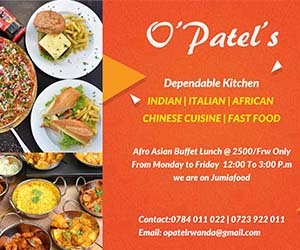 Thank you Rwandan governement for this good deal.